Thomas Doughty, Rowing on a Mountain Lake, ca. 1835; oil on canvas. On my recent visit to the Hood Museum of Art, I enjoyed looking at the American landscape paintings in their permanent collection. 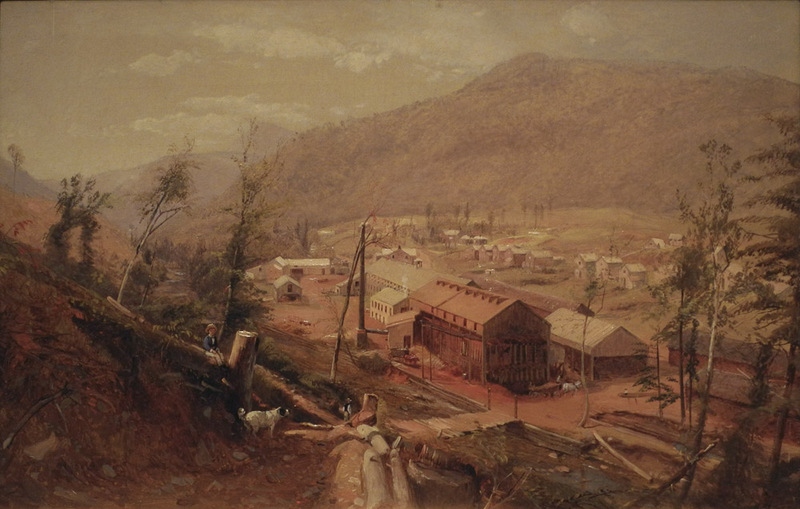 Many of them depicted the local New Hampshire landscape, or that of New England. America––that vast "virgin" land, unpeopled in the eyes of the European settlers, close to God in its awe inspiring grandeur––was a great subject for many artists. Before the 19th century, landscape was so low in the academic hierarchy that many artists painted them only as backdrops to a story or moral tale. 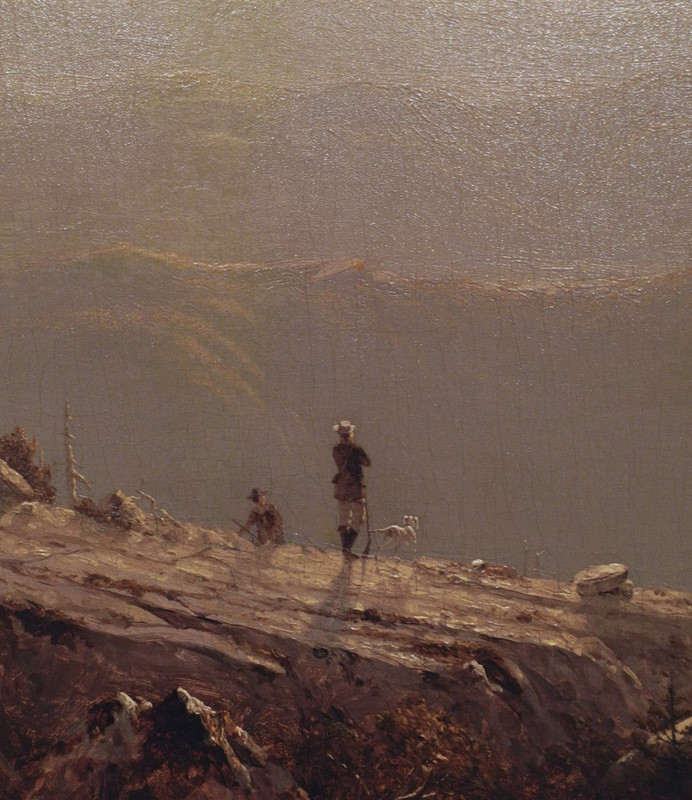 With romanticism and the concept of the sublime, landscape came into its own. 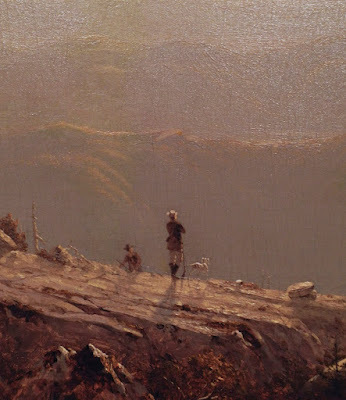 A small painting like that of Thomas Doughty showed grandeur of mountain peaks, the fear in the blasted tree, the smallness of the human floating within this space and light. In this very large canvas, Gifford sweeps us out into a deep space that is softened by the hazy light of late afternoon. 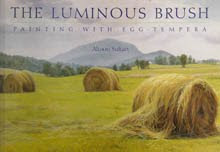 It is a perfect painterly definition of the Sublime: "the quality of greatness, whether physical, moral, intellectual, metaphysical, aesthetic, spiritual, or artistic. The term especially refers to a greatness beyond all possibility of calculation, measurement, or imitation." The figures standing on top of the mountain emphasize the overwhelming size of the landscape. They are there as observers for us, so we can also imagine ourselves in that place, having what must be a transcendent experience. 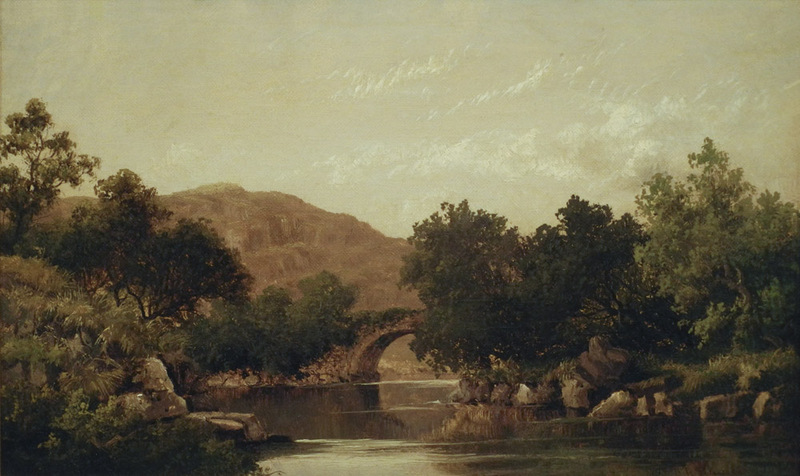 Robert Seldon Duncanson, The Stone Bridge, 1851; oil on canvas. Not all landscapes from this time were romantic in feeling. This modest painting by Duncanson, the first African American artist to have international recognition, is a more straightforward depiction of a particular spot. This is an attentive, poetic image, one that does not inspire awe, but a charming peacefulness. 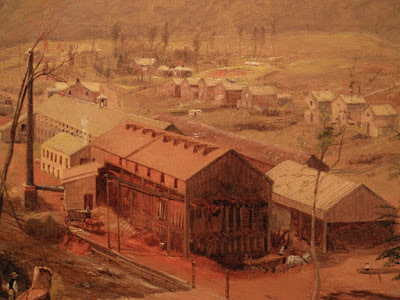 Tannery in the Catskills goes another step towards realism, with the contrast of mountain with the deforested landscape and industrial building. It is a look at the new world of the Industrial Revolution. 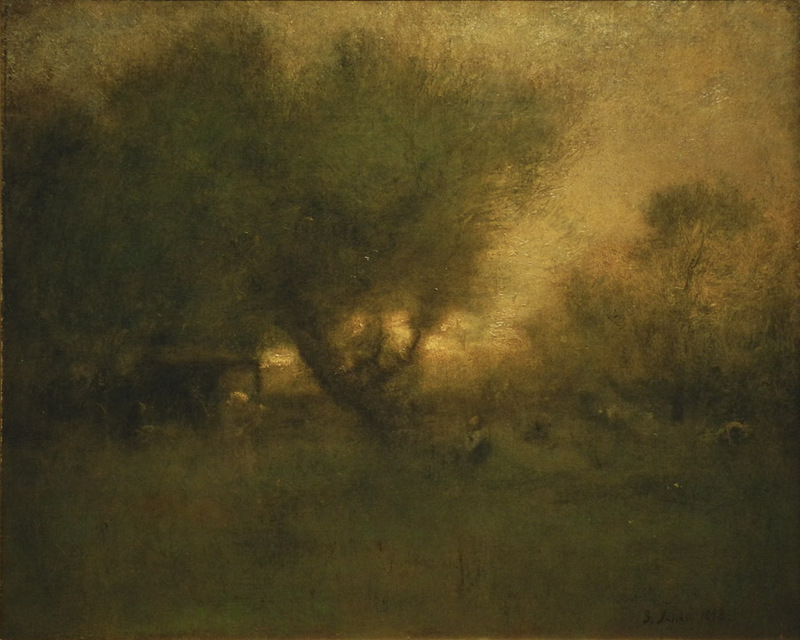 George Inness, In the Gloaming, 1893; oil on canvas. 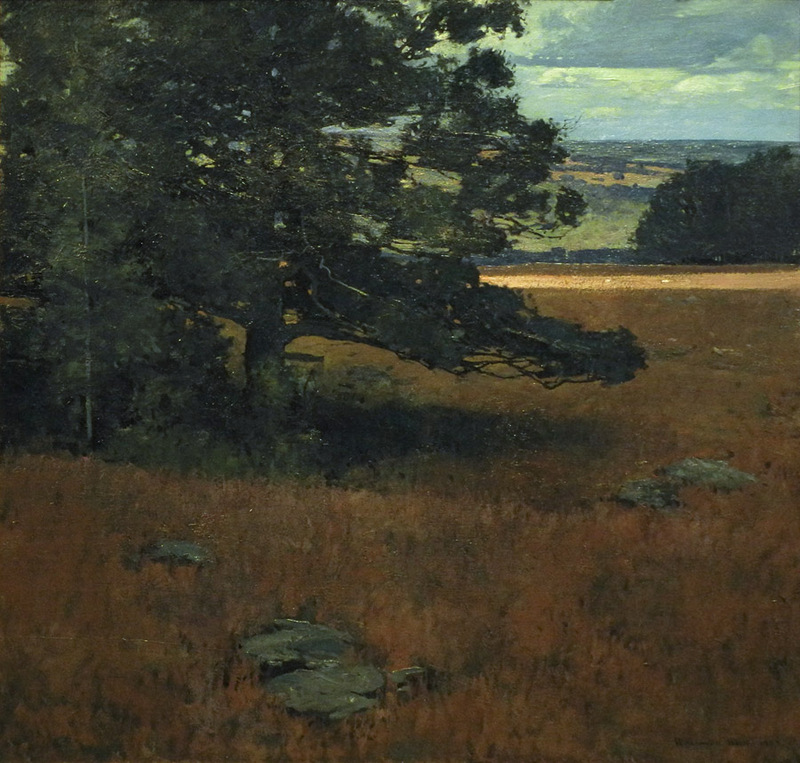 Inness brings us back to a romantic view of the landscape, with trees and grasses softened by golden light. The romantic and the naturalistic are two approaches to landscape that are still with us today. It has even been suggested that the paintings of Mark Rothko are in a sense descendants of the romantic American landscape. It's fascinating to see that this vigorous and color-rich painting was made around the same time as the Inness above. It has such a feeling of the modern in its dramatic shift of space and its lively brushwork. Rockwell Kent, A New England Landscape, 1903; oil on canvas. Rockwell Kent's landscape is much more subdued in color than the Chase, but it has a similar modern compositional structure, with our eye hopping from rock to rock in the empty foreground, then back to the mass of dark trees, and on to a streak of light crossing the field, and the distant view. 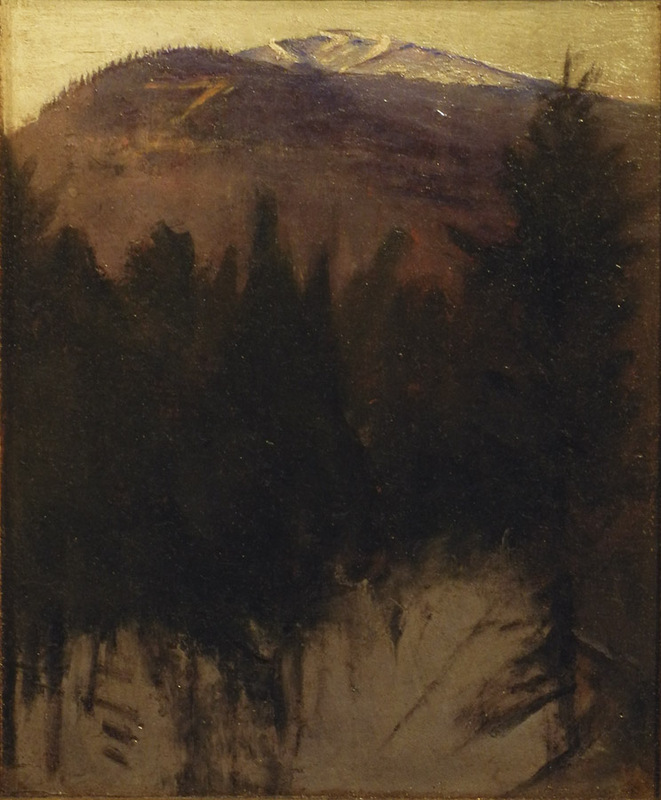 Abbott Thayer, Below Mount Monadnock, ca. 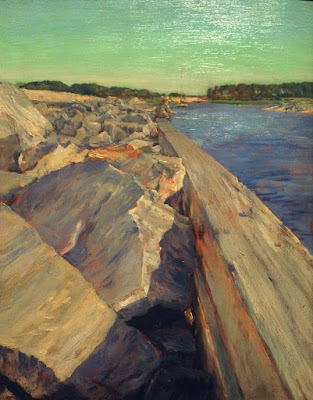 1913; oil on panel. Below Mount Monadnock is a very small painting, darkly mysterious, with trees almost undifferentiated, while the mountains in the distance have a crisp clarity. That contrast is beautifully compelling. 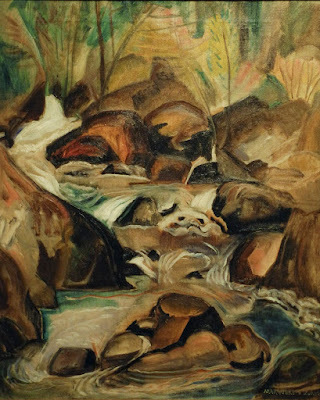 Marguerite Zorach, Mountain Stream, ca. 1917; oil on canvas. Lastly, a refreshingly lively modernist painting by Zorach. You can almost feel the water spilling down over the dense rocks, whose forms are clear and heavy. Beyond the stream's energy is a soft wash of trees. It's interesting to think about this tradition of landscape and to see how it is still strong today (see for instance, my recent posts on Alex Katz and Cecily Brown); landscape is rich with image and with metaphor. So GREAT to see all these! I'm glad you enjoyed the post, Sue. I am quite attracted to the gloaming. I like them all. I'm basically an abstractionist snob and love abstract paintings, but there is something about 19th century American landscape paintings that touch something inside me. 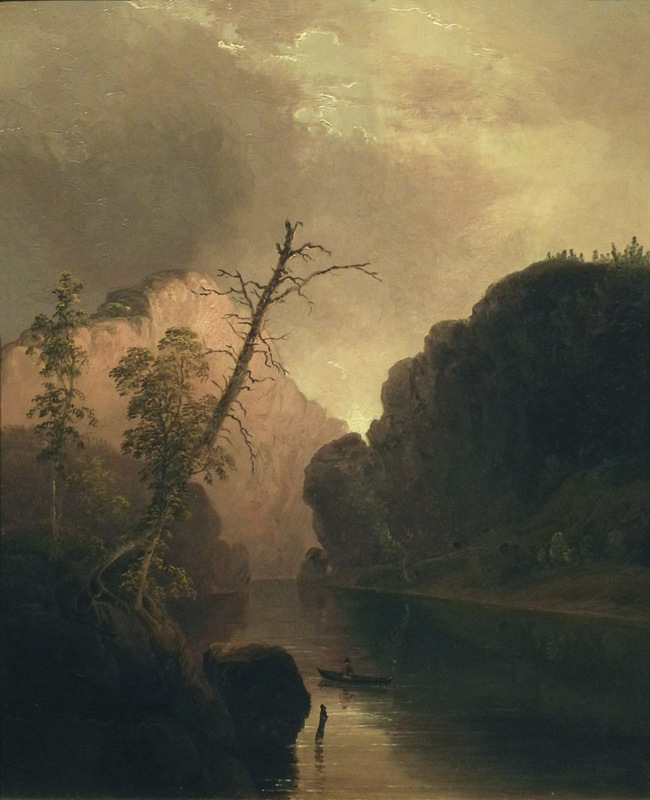 I can't get enough of the Hudson River School - and these, as well, are stunning. Thank you! Thank you for looking, Lisa and Anonymous. 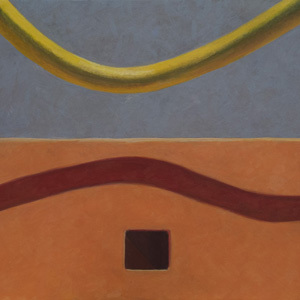 Yes, I can see the connection between Rothko and romantic/luminism. You're welcome; but it's not my original idea.